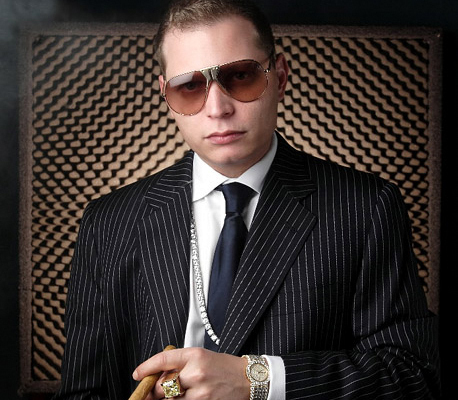 Idiot Music producer Scott Storch – one of Forbes’ richest “Hip Hop Cash Kings” with over $17-million banked from hits like Fat Joe’s Lean Back, 50 Cent’s Candy Shop and Beyoncé’s Baby Boy – is rumored to have gotten his first tattoo last week. Apparently the 35-year-old inked the likeness of his 19-year-old crush, Briana. Of course it’s not unheard of for smitten peeps to ink their lover’s name onto their body, no matter how groan-worthy a practice it may be (*ahem* 16-year-old Miley Cyrus and whatshisface), but Storch’s inked portrait is a whole new level of stupid since Briana is not – nor has ever been for that matter – Storch’s girlfriend. She’s just a girl Storch is trying to date. That’s right. I said trying. To make matters worse, Storch’s tattoo is not even discreet. His friend told gossip rag Page Six that “the tattoo is ghetto, big and on his arm.” I expect Storch will be revisiting the tattoo shop in the near future for a coverup. I hope for his sake that he makes a better decision about his next design.